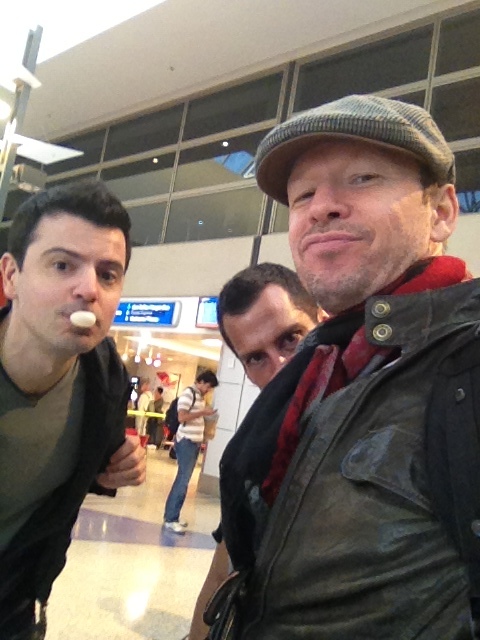 In case you missed the earlier post, NKOTBSB will be doing a webcast of their concert on April 29! NKOTB arrived in Europe yesterday! 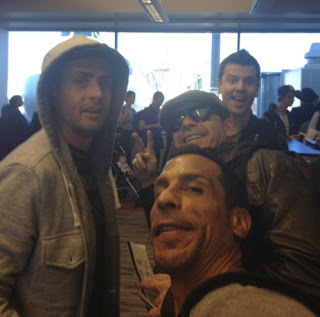 Here are a couple photos of them waiting to leave LAX on Monday evening from Donnie and Jonathan. If you are going to NKOTBSB show in Belfast and will be Tweeting about the show, send a tweet to @nkotbnews and I'll add you to the NKOTBSB Belfast list so those that want spoilers for the 2012 NKOTBSB tour can read all about it. The group "Queensbury" will be joining Neverest as an opening act for the German NKOTBSB tour dates. TV.com posted a bunch of photo stills from Blue Bloods episodes including some from upcoming episodes such as the April 27 one titled "Working Girls" and the May 4th one called "Collateral Damage". The Mixtape Festival has made some updates to their FAQ's and map. Block Nation presales begin THIS Thursday, April 19th at 10am PT via nkotb.com (Full Service starts at 10AM PDT and Premium at 10:30AM PDT). Simply log into your Block Nation account and visit the Events page to get your tickets. No password needed.